I’m still getting used to the fact of being a young carer for my mother as she had major surgery last year in November and should have fully recovered at the end of June. Its not the fact that it’s difficult but you realise and appreciate what your mother does, like washing your clothes, ironing, cooking your meals, washing the dishes, cleaning the house from top to bottom and generally looking after you. Well, now it’s my turn to do these things. My mother can’t do much so I’ve got to do a lot. I don’t mind doing these things at all but I have no time to do anything I want to do like watch TV, sit in my room and play my guitars, school-work or after-school revision and on top of all this I’ve got a horse to look after which means every day after school I go home quickly and get dressed in my mucking out clothes and go muck out my horse’s stable and bring her in for the night. Then, when I get back home I ask my mother what she’d like for her dinner and I cook that and as the dinner is cooking I go and take the dog for a walk and that’s usually a good hour and a half. My mother can get up and walk about, although it’s not very easy for her, and because she is able to do so I ask her if she can keep an eye on the food when I’m out with the dog. Before my mother had her operation she cleaned an old gentleman’s house, who we have known for many years. Every Sunday my mother would go and clean his house top to bottom but she can’t do that now so I do it instead which takes me about 2 hours and a half and that’s after dealing with the horse. I’ll start at 4pm and finish at 6 – 6:30pm and then I’ll go home and clean my house and iron my school uniform and try and do my homework but I don’t always finish it, as it’s too late, and I get up in the morning at 4am to go running and then swimming. This my daily routine: get up at 4am, go running and then I go swimming, take the dog for a walk, and then my mother starts to get up so I help her with her routine. Then I get dressed and washed for school, go to school and I check on my mother during the day – usually just a quick call to see if she’s okay, if she’s not then I’ll catch the bus home and sort out whatever she needs and then I’ll go back to school if I have a lesson – catch the school bus home, go up the stables to clean the stables and bring the horse in, put food on for my mam and I, take the dog for a walk, come home and have food, clean the house: hoovering etc, iron my clothes and my mother’s and if I have time then I go for a run and then do my homework and have a shower and then go to bed. I don’t hate doing this but it upsets me. Every night I cry myself to sleep and it’s scary for me, thinking about my mam every hour of the day when I’m not around her – is she okay? What is she doing? Is she doing anything she shouldn’t be doing? What if something happens to her when I’m not around? And what if she can’t get to the phone for help? Only my best friend knows about this and some of you Wicidites and it’s taken me a lot of guts to write this, but thank you for reading. 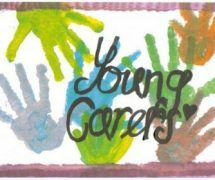 This is a great article and it shows the hard work that young carers put in around their lifestyles. You deserve to be proud of yourself, livvyjayne96! 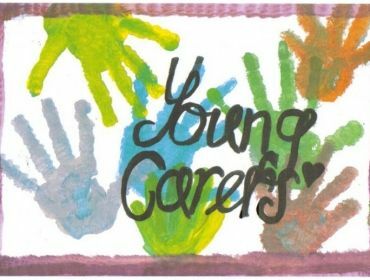 This is an excellent article and you are a true ambassador for Young Carers and show all the hard work you young people put in around your day to day lives. You should be really proud of yourself the amount of effort you put in to look after your mam and undertake your daily tasks.